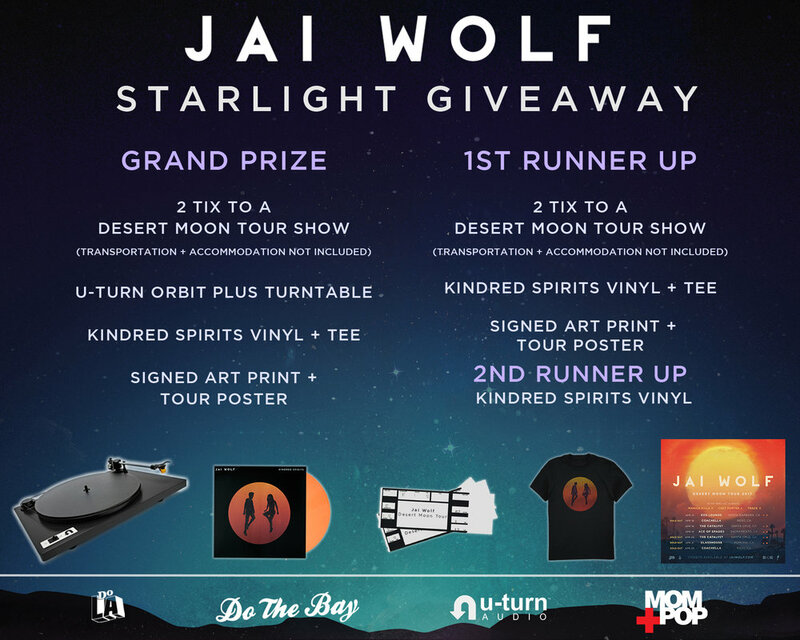 Jai Wolf just dropped his new song, "Starlight." The dreamy song, which starts with a piano and ascends into an upbeat, synth-heavy hook, is the perfect soundtrack for these warmer spring days. Also be sure to check out the Starlight Giveaway for a chance to win tickets, a U-Turn Audio turntable, signed tour poster and merch/vinyl. Enter to win tickets to the Santa Cruz show (4/20) via Do The Bay and tickets to his Pomona show (4.21) via DoLA.